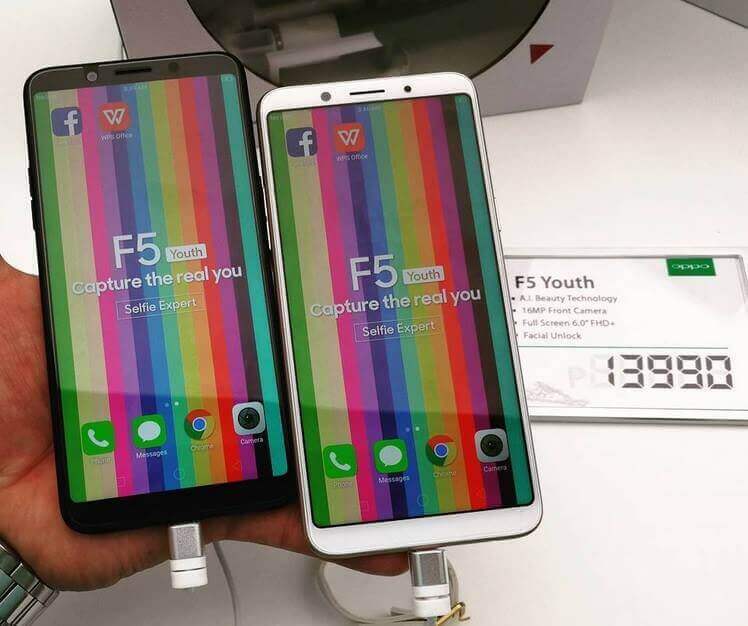 The younger brother of the OPPO F5 officially arrives in the Philippines, meet the OPPO F5 Youth, the same flagship experience at a more affordable price tag. The OPPO F5 Youth still packs the same 6-inch Full Screen display with FHD+ resolution, giving users the same viewing experience as the F5. On the inside, it is also powered by 2.5GHz octa core processor, however, the RAM is toned down a bit to 3GB from 4GB. Moreover, the internal storage is the same as before at 32GB, that is plenty room for your apps, games and all sorts of files, plus an option to expand more using the dedicated micro SD card slot. In terms of camera, this new OPPO handset has a 16MP front-facing snapper to take care of all your selfie needs, and a 13MP rear shooter for capturing special moments. Although, the camera resolutions are lower compared to the previous F5, the Youth variant still packs the same A.I Beautification Technology to capture the real you. The other specs and features are the same, such as Face Recognition, Color OS 3.2, fingerprint sensor, and 32000mAh battery to name a few. It is now available nationwide with a pretty attractive asking price of just Php13,990.